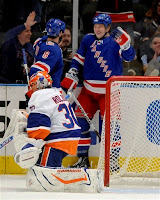 The New York Rangers took care of business last night with a total demolishing of the New York Islanders by a score of 7-2. I won’t get too detailed about it but after an early 2-1 lead by the visitors, the Rangers buckled down and fired 52 shots at a beleaguered Dwayne Roloson for a season high shot total. My take from this game is it was nice to see Matt Gilroy assert himself and play with some confidence. Gilroy might have gotten a little lucky on both of his goals but as I always say, “They don’t draw pictures on a score sheet”. I’m hoping, like most Rangers fans, that Gilroy will finally “get it” and understand that he has to be consistent game in and game out. Now the Rangers will take on the New Jersey Devils and much like the Islanders the boys in blue must and I mean MUST be ready to play. It’s the beginning of a mini road trip for the Rangers (Devils, Lightning, Panthers) and these points are ever so important. The East this year is a tough conference to be in. Playoff spots will be hard to come by. While the Rangers are in a good spot presently, they can’t relax. In fact, there’s no time to relax… period! Some other musings… I keep hearing that MDZ might be on the trading block? Well, in my opinion, if he is it better be a lopsided trade in favor of the Rangers. Otherwise, forget about it! 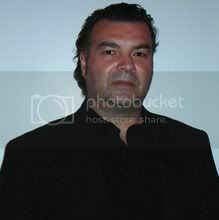 MDZ is having a tough year and his production is obviously down. But really, he’s just 20 years old and he will bounce back- trust me! Another thought… just how far has the New York Islanders organization fallen? For that matter, you can throw in the New Jersey Devils this season too! If only the Flyers could join them and make it a tri-fecta. It would certainly make Rangers fans jump for joy! Just my thoughts. Speaking of Rangers fans. I want to thank all of you who follow Kotsy’s Korner and listen to the Instigators radio show. You guys are the best! I would also like to thank all of the Rangers fans and friends that I have made when I venture into the big city to catch a game. Whether at Café 31 or the Parlour Restaurant. You guys make it enjoyable for my wife Lisa and I. If I could, I would thank you all personally… but you know who you are and I thank you all, big time. Oh well, onto the New Year! Over and out! Roger Miller once had a hit single crooning out “king of the road”. Well folks, the New York Rangers at this moment are truly the kings of the road in the NHL. With last night’s (sometimes ugly and mistake prone) game, the boys in blue hung on and took a 5-3 victory over the Ottawa Senators. This win guaranteed that the Rangers now have the most wins on the road sporting a very impressive 11-4-0 record. You have got to like the resilience with this team. Last night when Ottawa would score the Rangers would answer back almost immediately. The game winner would come from rookie d-man Michael Sauer (Who’s coming along nicely, I might add) for his first ever NHL goal. The goal was set up by Chris Neil’s dumb penalty he took for running Ryan Callahan. 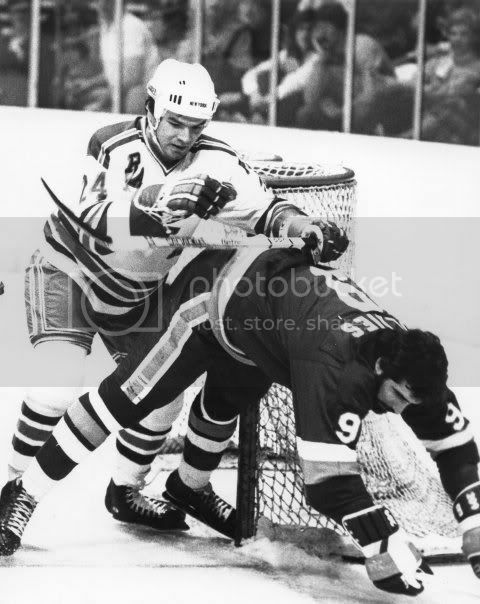 Sean Avery and Brandon Prust did all the hard work as Sauer blasted a slap shot through the 5-hole on Brian Elliot to give the Rangers the late 4-3 lead. Brandon Dubinsky finished off the game with an empty netter. All in all, the Rangers will take the crucial 2 points as they head to Columbus for a match up on Saturday. Was this one pretty? Of course not. Ugly at times? For sure. Plenty of mistakes were made and it was nice to see Sauer set up and make up for his major blunder on Ottawa’s first goal. It’s a good sign when a player who’s trying to find his way can shrug off any adversity and play his game. My hat’s off to Sauer and getting that first goal is always something you dream about as a player- it’s something you will never forget! A couple of things that I took from this game. First, what on earth were the officials thinking when Matt Carkner punched Derek Boogaard first in the back of the head as he chased Boogaard down after a clean hit on an Ottawa player? 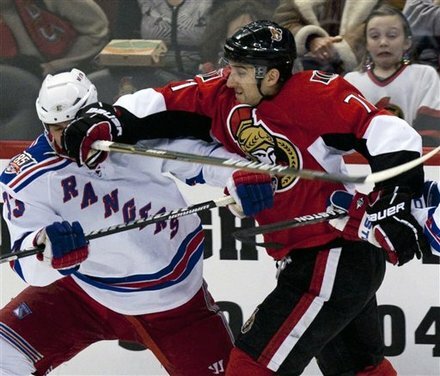 Not only that, but Carkner then swung again as soon as Boogaard turned around. Is that not instigating? If it isn’t, then I don’t know what is. 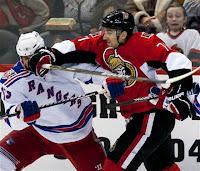 Carkner should have got 2 for roughing, 2 for instigating, 5 for fighting, 10 min misconduct and a gross misconduct. The gross misconduct for flicking blood at the Ranger bench. A totally classless act. We’ll have to see if the “Grinch” Colin Campbell will look into this or will he let it slide by like nothing happened. Now, on to Chris Neil. 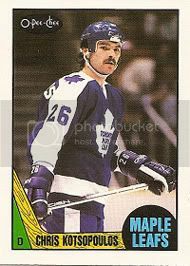 First off, I know he’s a tough guy and all of that… but I watched him for a few years now when he plays the Rangers. How is it that he never caused crap when Colton Orr or Derek Boogaard were sitting on the bench? Then, all of the sudden, when they are conveniently not available through a fight or a healthy scratch- he plays tougher than he really is? 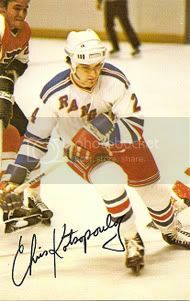 Last night, once Boogaard was gone he ran everything in sight and when he ran Callahan he essentially lost the game for the Senators as the Rangers made him pay for it on the ensuing power play. Sorry, Chris. 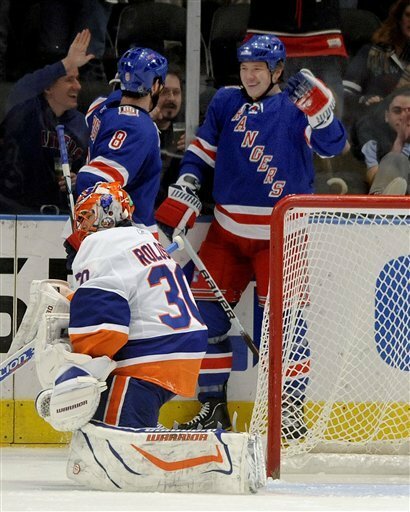 Bonehead move by you and the Ranger fans thank you and are very grateful. The Quinnipiac Bobcats beat Harvard by a score of 3-1 on the road. A big win for the Bobcats after struggling at home last weekend. Next up for them is Providence at Schneider Arena in Rhode Island. 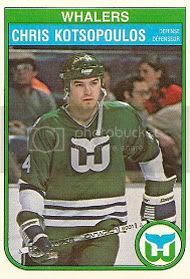 As for me, I will be in Hartford, Connecticut on Saturday signing autographs before the Whale/Manchester Monarchs play from 6:00 to 7:00 PM at the XL Center Atrium. Should be a fun time. Also, I will be in the city on Sunday to catch the Rangers and Capitals game at MSG. I will be at Café 31 and the Parlour restaurants before the game. That’s it for now, over and out!